Arizona is a sun-kissed playground where visitors from around the country can indulge in outdoor activities year-round. Even when it's snowing and icy in other parts of the country, Arizona's sun continues to shine warm and bright, which is why so many people travel to cities like Phoenix and Scottsdale to partake in outdoor activities like golf, hiking, and tennis. For tennis lovers, there are few better vacation destinations than Arizona. Even in winter, you can spend hours and hours playing tennis in Arizona, which is why so many resorts in Phoenix and Scottsdale offer tennis courts for their guests. 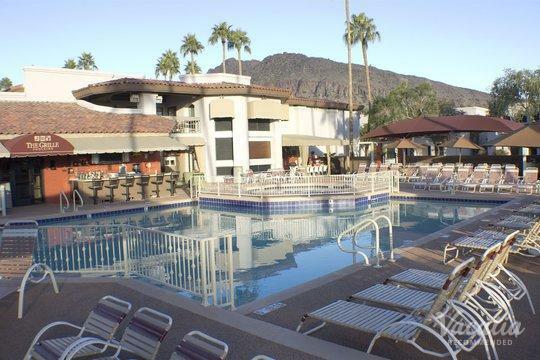 If you want to stay at one of the best tennis resorts in Phoenix or Scottsdale, simply rely on Vacatia to help plan your stay in Arizona. 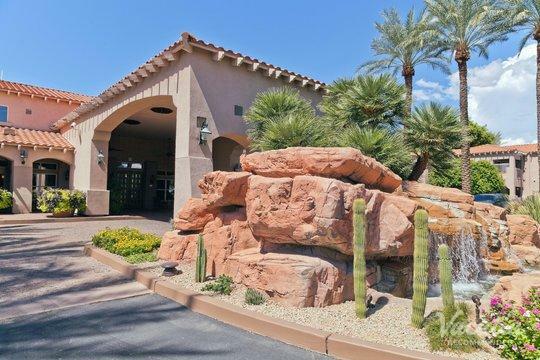 Vacatia provides travelers with impressive selections of quality vacation rentals in popular vacation destinations like Scottsdale and Phoenix, and Vacatia will help you find a tennis resort that meets all of your needs and exceeds your expectations. 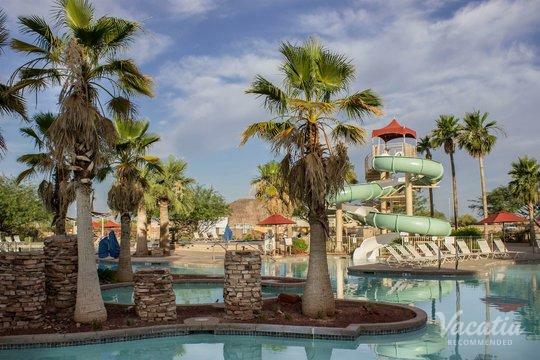 The Arizona desert is home to some of the most popular vacation spots in the country, as its beautiful desert landscapes and premier resorts provide the perfect backdrop for relaxing, rejuvenating vacations. Because of its idyllic weather, Arizona is also home to an array of quality tennis resorts, and tennis enthusiasts can indulge in their love of the sport all year-round in Phoenix and Scottsdale. Whether you are a novice tennis player or are a seasoned player, you're sure to have a terrific time playing tennis in Arizona. 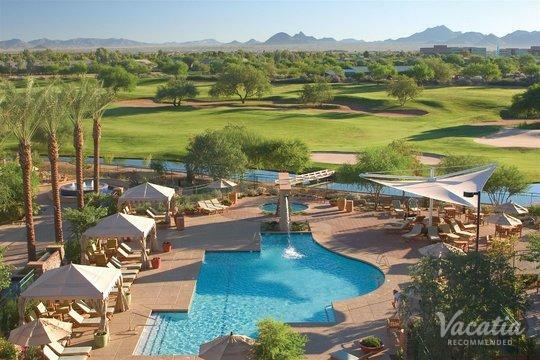 Vacatia can help you book your stay at one of the best tennis resorts in Scottsdale so that you can spend your vacation playing tennis in the Arizona sunshine. Vacatia's unique rental properties provide the added living space of a home in addition to the services and amenities of a resort. So when you rely on Vacatia to book your stay at a tennis resort in Phoenix or Scottsdale, you'll be able to use terrific resort amenities like the tennis courts but you will also have added comforts and conveniences in your own rental, such as a fully equipped kitchen. Vacatia's resort residences help travelers feel like they're actually living in luxurious destinations like Phoenix and Scottsdale rather than just visiting. 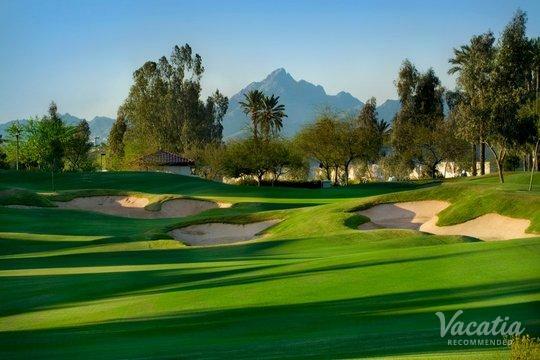 Whether you love hiking, golfing, biking, or playing tennis, Phoenix and Scottsdale are ideal vacation destinations for you. Outdoor enthusiasts adore these Arizona destinations, as the year-round sunny weather and beautiful natural surroundings provide plenty of opportunities to play sports and partake in fitness activities. 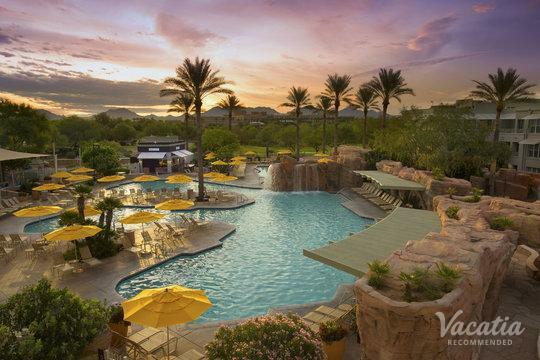 In addition to being known as havens for outdoor enthusiasts, Phoenix and Scottsdale are known as hotspots for those looking to relax and unwind at premier resorts and spas. 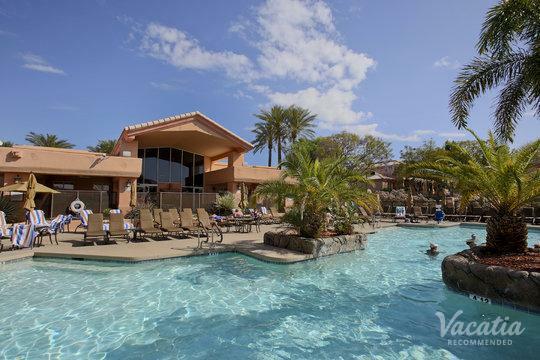 No matter what you have planned for your time in Arizona, you should let Vacatia help you book your stay at one of the best tennis resorts in the area so that you can indulge in your love for the sport every day during your stay.